Tuttle reaches 1,000 as Hornets go undefeated in NTL. Prough honored by Athletic Department. Prough named NTL Player of the Year. Yungwirth, Prough named Athletes of the Year. Hornets come up short against Schuylkill Haven. Prough named NTL Athlete of the Year. Hornets rally to top Athens 7-6 on Senior Night. Hornets fall to Jersey Shore, 5-1. Hornets hold on for win over Wyalusing. 13 Hornets receive Wellsboro Gazette Winter Sports Awards. Hornets shut out Athens on the road, 2-0. Hornets win 17-0 slugfest over rival North Penn-Mansfield. Hornets fall to Troy 3-0 in pitchers duel. Prough named All-Region Defensive Player of the Year. Rowland goes the distance as Hornets down Canton, 4-1. Prough, Tuttle named NTL Players of the Year. Hornets' magical season comes to an end in PIAA opener. Hornets top Loyalsock for District IV AAA championship. Hornets top Southern Columbia to advance to AAA title game. Hornets secure Class AAA playoff victory over Bloomsburg. Hornets claim second straight NTL Showdown championship. Hornets steamroll NEB, 87-20 to return to NTL Showdown finals. Hornets top Athens, win NTL Large School title. Hornets top Towanda to win 18th straight. Hornets gut out win over Montoursville. Hornets improve to 17-1 with win over Troy. Hornets run past North Penn-Liberty for 14th straight win. Big second half pushes Hornets past Rams. Hornets pick up pair of Friday wins on the court. Hornets pick up hard-fought win over Jersey Shore. Hornets top rival Mansfield, bring home Berguson Memorial Trophy. Hornets cruise past Towanda, 89-27. Henry, Brown named All-Region Players of the Year. 8 Hornets named to District IV North All-Star Football team. Hornets hang on to knock off Neumann. Hornets mercy rule CV, 66-26. Henry, Brown, Pietropola named NTL Large School Players of the Year. Henry named Wellsboro Gazette Male Athlete of the Fall. Hornets fall short against Line Mountain, 14-13. Hornets steamroll Wyalusing on Senior Night, 53-0. Hornets set record in 75-0 Homecoming win. Hornets hand Muncy 46-14 loss. Hornet defense keys 49-14 win over Troy. Hornets answer bell against Towanda. Hornets dominate Wildcats in 42-7 win. Moser's three touchdowns lead Hornets past Sayre. Hornets topple Canton at new Wellsboro Community Athletic Complex. Prough named All-Region Coach of the Year. 3 Hornets earn NTL All-Star baseball honors. Hornets fall to Old Forge in opening round of State Playoffs. Hornets top South Williamsport to bring home first District Championship. Davis double sends Hornets to District Playoffs. Hornets fall to Danville, 6-2. Hornets fall to Shikellamy, 3-2. Wellsboro rally falls short against Wyalusing. Hornets top rival North Penn-Mansfield to split season series. Big sixth inning lifts Wellsboro over Wyalusing. Hornets fall to Athens, 3-1. Hornet baseball tops Towanda, 5-4. Hornets fall to Coudersport in extra innings. Hornets stomp CV, 12-0 in five innings. Hornets top Sayre, 4-3; snap five-game losing streak. Hornet baseball drops fifth straight in loss to Williamson. Hornets drop fourth straight in 13-2 loss to Mansfield. Jersey Shore shuts out Wellsboro, 9-0. Hornets drop heartbreaker to Troy. Athens baseball shuts out Wellsboro, 10-0. 9 Hornets named to All-Region basketball team. Hornets improve to 3-0, top Towanda 10-6. Hornet baseball clobbers Canton, 10-3. Hornet baseball opens season with 6-1 win over NEB. 7 Hornets named to Sun Gazette All-Star basketball team. Cotner, Poirier named Wellsboro Gazette Athletes of the Winter Season. Prough named NTL Offensive MVP; Lamphier, Singer named 1st team All-Stars. Hornets' comeback falls short in loss to Loyalsock. Hornets fall to Southern Columbia in District semis. Hornets top Warrior Run 64-37 in District playoffs. Hornets fall to Neumann in final regular season game. Hornets claim NTL Showdown title. Hornets steamroll Canton in NTL Showdown semis. Hornets win share of NTL title with win over Troy. Hornets rally to top Athens in overtime. Hornets sting Tigers on the road. Hornets top Towanda on Senior Night. Hornets complete season sweep of Wyalusing. Hornets dominant in win over Sayre. Hornets cruise past North Penn-Liberty. Hornets run wild on Troy. Tigers claim third straight Berguson Memorial Trophy game. Hornets blow out Towanda, 71-41. Hornets come back to top Montoursville. 13 Hornets selected to All-Region Football team. 11 Hornets earn District All-Star football nominations. Prough's career-high leads Hornets over NEB. Hornets survive Shore's fourth quarter comeback. Hornets blow out Williamson, 79-26. Hornets second at Shamokin Tip-Off Tournament. Hornets advance to Shamokin Tip-Off Tournament championship game. Henry, Jones, Pietropola named NTL Large School Players of the Year. Hornets' season comes to an end against South Williamsport in D4 AA semis. Hornets roll past Hughesville in District IV quarterfinals. Hornets shutout Panthers in final regular season game to go 10-0. Hornets romp Red Raiders on Homecoming. Hornets improve to 3-0 with 28-14 win over Athens. Hornet defense pitches second straight shutout. 5 Hornets named to All-Region baseball team. Three Hornets named to NTL All-Star baseball team. Tigers walk-off against Hornets in District playoffs. Hornets fall to Coudersport, 2-0. Hornets crush South Williamsport 12-3 on Senior Night. Hornet baseball defeats NEB, 6-3. Hornets shutout Milton, earn spot in Districts. Hornets rally to top Danville, 5-4. Hornets pull out win over Williamson. Hornet baseball clobbers Canton, 11-1. Hornet baseball falls to Troy, 8-2. Hornet baseball falls to Athens, 6-3. Hornet baseball tops Towanda 11-1 in 5 innings. Hornet baseball tops Towanda, 11-6. Athens baseball tops Wellsboro, 15-14. Prough reaches 100 hits, Hornets top CV 14-4. Hornet baseball falls to Canton, 7-3. Hornets knock off undefeated Tigers in extras. Hornets fall to Troy, 8-3. Hornet baseball picks up first win of year. Hornets drop season opener to Sayre. Prough named Defensive Player of the Year. Prough named Breakthrough Underclassman of the Year. Six Hornets named to NTL All-Star basketball team. Danville too much for Hornets in District IV title game. Hornets knock off Central Columbia. Hornet bench big in win over Warrior Run. Hornets pull off comeback against Montoursville. Hornets top Tigers in OT thriller. Hornets no match for Athens on Senior Night. Hornets top Towanda on the road. Hornets fall to Mansfield in Berguson game. Prough's 25 lead Hornets past Towanda. Hornet boys fall to Lewisburg. Hornet basketball falls to Wyalusing. Prough's 21 lead Hornets over Williamson. Hornet basketball tops CV for second straight win. Hornet boys outlast Jersey Shore. Third quarter dooms Hornets in loss to Neumann. 11 Hornets make All-Region soccer team. Four Hornets make NTL All-Star soccer team. Hornet Soccer shuts out Williamson, 1-0. Boys Soccer tops Towanda, 6-1. Three Hornets make All-Region baseball team. JV Baseball drops double header to Towanda. Hornet baseball shut out by South Williamsport. Hornet baseball tops Williamson, 14-12. Hornet baseball falls to Danville, 6-5. JV baseball spilts double header with Canton. Hornet baseball falls to Athens, 10-5. Hornet baseball tops Towanda, 6-2. JV Hornet baseball drops double header to Athens. Prough grand slam beats Wyalusing. Hornet baseball tops NEB, 14-12. Hornet baseball tops Troy, 8-3. Hornet baseball tops Milton, 4-3. Hornet baseball downs Mansfield, 12-4. Hornet baseball tops Towanda, 13-2. Big first inning lifts Wellsboro baseball over Coudersport. Hornet baseball falls to Troy, 13-2. JV baseball falls to Mansfield in opener. Hornet boys hang on against South Williamsport. Hornets survive scare from Troy. Hornets end skid, beat Williamson 54-47. Hornets no match for Jersey Shore. Hornets rally in second half to beat Sayre. Hornet basketball tops Canton, 75-38. Hornets rally to beat Montoursville. Hornets hold on for win against Mifflinburg. Mitchell headlines Wellsboro's All-Region soccer team. Notre Dame, Wellsboro, Waverly earn season opening wins. Notre Dame's Raupers headlines All-Region. Wellsboro boys, girls reach Showdown final. Wellsboro holds off NP-Mansfield to stay undefeated in the NTL. Wyalusing claims NTL Division-II title with win over CV. 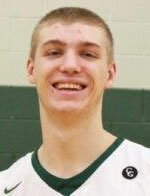 Wyalusing's Cameron hits buzzer-beater to defeat Troy. Crown, Smith lead NEB past Sayre. Local roundup: Neumann boys defeat CMVT. Athens holds off Wyalusing, 65-42. Henry leads Wellsboro past Towanda. Green Hornets roll past Athens. Wellsboro opens new stadium with win over Canton. Athens' Jennings is All-Region baseball POY. Old Forge edges Wellsboro 1-0. NTL coaches name Baseball All-Stars. Hornets win first ever D4 baseball title. Wellsboro uses fast start to top Williamson. Pierce, Towanda blank Sayre, 10-0. NP-Mansfield edges Athens to keep NTL title hopes alive. NEB gets walk-off win over Williamson. Shaw leads NP-Mansfield to win over Troy. Waverly downs Trumansburg on Wounded Warriors Day. Sayre tops North Penn-Mansfield 7-6 in extra innings walk-off. Athens shuts out Canton, 16-0. Jennings leads Athens past Troy. Troy rallies past Wellsboro for second straight come from behind win. Canton tops Towanda 2-1 in eight innings. NP-Mansfield's Burleigh, Athens' Baglini as NTL Players of the Year. Bad third quarter dooms Wellsboro boys. Wellsboro advances in D4 tournament. Athens, Wellsboro fall in playoff tune-ups. Wellsboro outlasts NP-Mansfield in NTL showcase. Wellsboro girls edge Sayre on buzzer beater; Athens girls, Wellsboro and NP-Mansfield boys also in NTL Showcase final. Wellsboro, North Penn-Mansfield clinch share of NTL Division-I title. Wellsboro rallies past Athens in OT. Burleigh nets 1,000th point but Wellsboro tops North Penn-Mansfield. Sweet's lay-up pushes Sayre past NEB. Troy edges Sullivan County in OT. Waverly wins against SVE, 56-42. Mansfield wins in thriller: Tigers are Kasper Strong as they top Wellsboro. Henry returns as Wellsboro tops Towanda. Wellsboro boys rally past Montoursville. Sayre holds on to beat Towanda. Several locals make D4 North All-Star team. Troy edges NEB in OT. Sullivan boys open with win. Wellsboro football pitches a shutout. Green Hornets run past Black Knights. Wellsboro pulls away in second half to top Sayre. Tioga's Manuel headlines All-Region baseball team. Shaw heads NTL baseball all-stars. Wellsboro baseball falls to Coudersport. Waverly downs Dryden in Section IV playoffs. Athens baseball tops Mansfield in five. Athens wins on a walk-off HBP. Shaw leads NP-Mansfield past Sayre in pitcher's duel. Troy, NP-Mansfield pull away to pick up first NTL wins. Sayre holds off Wellsboro in 6-5 win. Hillson, Painter head NTL all-star hoops lists. Wellsboro boys pull away from Warrior Run. Wellsboro edges North Penn-Mansfield in OT. Athens rolls past Wellsboro for division title. Athens holds off North Penn-Mansfield. Troy knocks Wyalusing from top of NTL standings; Athens, NPM tied atop standings. Wyalusing hands Athens first NTL loss, NPM rallies past Troy. Troy's rally against Seton Catholic falls short. Athens, Wyalusing earn big division wins. Wellsboro, NPM win to stay unbeaten in NTL. Troy boys top Sayre to stay unbeaten in NTL. Athens uses big 3rd quarter to top Sayre. Athens tops 100 in win over NEB. Sullivan boys top Troy to move to 3-0. ND's Coulibaly, Athens' Segar, Wellsboro's Prough region's top players. Athens' Segar, Sayre's Tracy NTL Players of the Year. Binford lifts Troy past Williamson in 2OT. Bowman pitches Canton past Towanda. Gingerich pitches Waverly past Edison. Schucker leads Troy past Athens. Mansfield boys roll past Athens. Williamson boys tie for NTL small-school lead. Wellsboro's Pietropola scores 1,000th point in win over NEB. Liberty boys edge Athens, 64-63. Towanda boys win at Montrose. Wyalusing, CV get final second wins. Mansfield boys open season with win.